Doing the blog (when I can these days!) I make contact with all types of people, but in general they are all related in some way to trucks and trucking….apart from the President of Bakino Fasso who, as it goes he wants me to email him so he can donate $17,500,000 to the blog, all I’ve got to do is give him my details!! I digress. In this instance I heard from Phil Robinson, Business Development Manager for Hella Ltd in Central England no less. 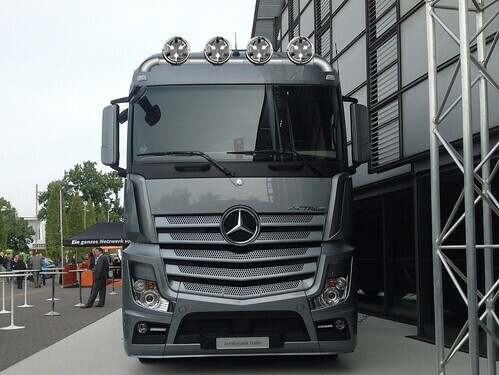 The current fashion in trucks seems to be the addition of at least 4 spotlights to the front end. Now it must kill the truck manufacturers to see that years of research for their trucks aerodynamics is just cast aside in favour of some spotlights, which in turn must make the likes of Phil Robinson, rub his hands together! 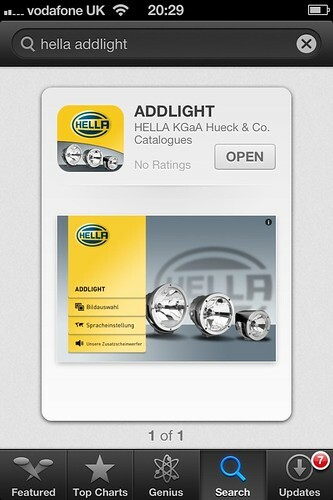 As regular blog star, Steve Marsh, once said “I rate Hella lights. I Had 2 Hella Spots on my old truck and the only problem in 6 years was a relay. Now on my 3rd set of non-Hella spots in 7 years on the current wagon!” I think that says it all. stretch of road using an innovative illumination comparison. 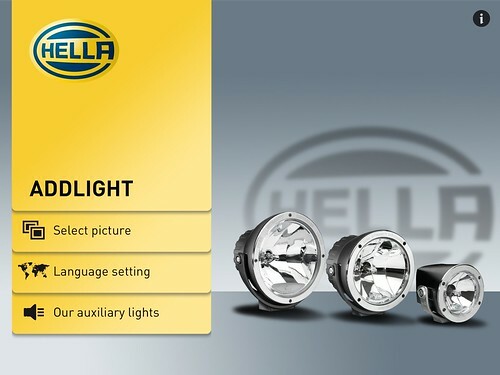 Basically you can upload a photo of your truck to the App, then you can select top or bottom bar, then you get to try all the spotlights in the Hella catalogue until you find the ones you like. You can also choose from 2 or 4 spots on your bar and you can even turn the lights on or off. It’s a good way to get an idea of what you like and what the truck looks like before you spend the best part of £1000 on a bar and spots. This entry was posted in Uncategorized by truckbloguk. Bookmark the permalink. 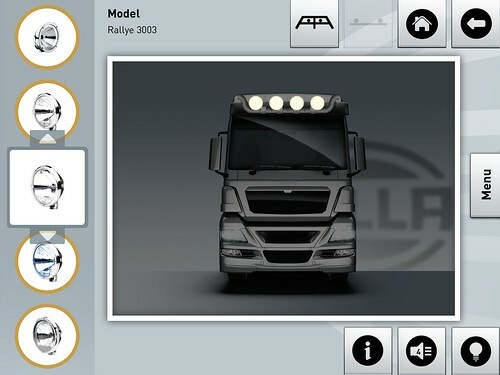 Nice one they we can have a preview of the trucks and see if it looks good or not. 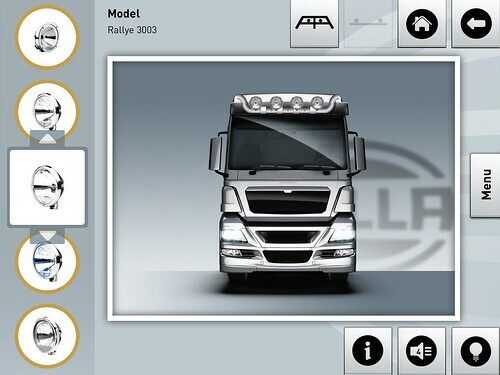 I will surely recommend this app to my truckers.